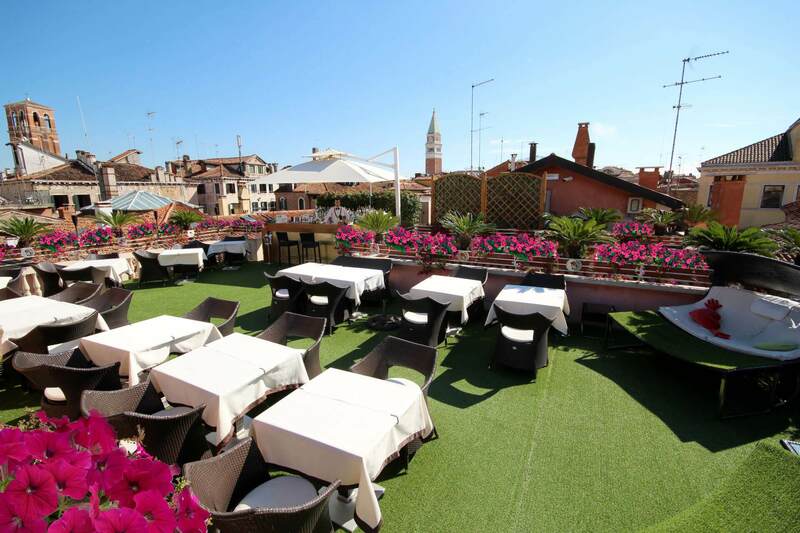 The true star of Hotel A La Commedia is located on the building's rooftop: Il Loggione, a magnificent scenic terrace with a bar and a breathtaking view of St. Mark's bell tower and the roofs of Venice. 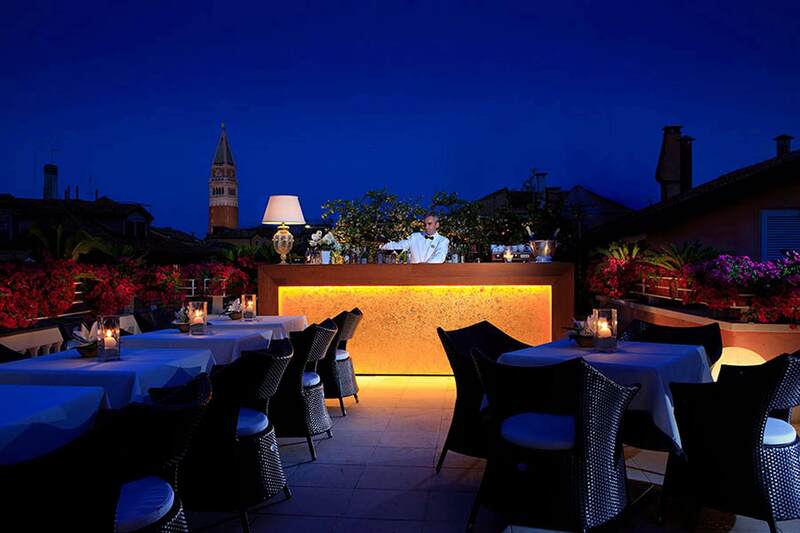 Named after the last floor of the neighboring prose theater, the loggione precisely, during the beautiful season this terrace is the ideal place where to spend a few hours relaxing or to enjoy a romantic evening. Background music, coffee tables, deckchairs and comfortable sofas...all you have to do is ask the barman to prepare your favorite cocktail and enjoy the show! From April to November, from midday until late at night, Il Loggione is open for a drink, a snack, a light lunch or for your favorite cocktail. A perfect way to unwind before or after a walk in Venice! The third Saturday of July Il Loggione gets all decked out for the traditional serata del Redentore (Redeemer's Night): reserve a table after dinner to admire the fireworks that light up the sky on St. Mark's Basin. A unique experience, to be enjoyed with the right company.